Here in our first article, on scrambling. Here we will explain the scrambling grades. Firstly, what is scrambling? Scrambling is the middle ground between hill walking and climbing. Where the path steepens to the point which also requires the use of hands to gain height. It combines hillwalking and easy rock climbing in sometimes very exposed positions, through the most amazing landscapes and scenery. So what is the difference between rock climbing and scrambling then? Scrambling – requires easy climbing up short sections of rock, where the risk of falling is very low. Rock climbing – requires climbing up steep(er) rock, where the risk of falling becomes greater (relative). Here we will try to explain the UK scrambling grading system. This grade is for an easy scramble, with easy route finding, and the occasional difficult steep steps. Most of these tend to be straight forward. There are some exceptions to the rule. Tryfan is renowned for difficult routes finding. 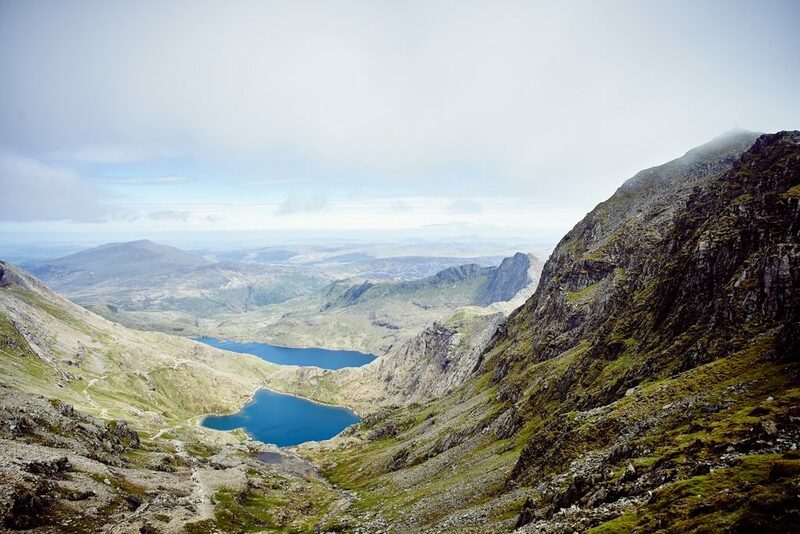 Examples of grade 1 scrambles: Snowdon Horse Shoe, Crib Goch and Tryfan in North Wales, Striding edge and Jack’s Rake in the Lake District. Please note that in wet conditions the difficulty may feel harder and hazards may increase. Grade 2 scrambles tend to have longer and more difficult sections of rock to climb. Where the use of a rope is recommended to protect the person leading and the person following (second). Route finding can be more difficult, and sometimes escape routes may not be so easy to find or downclimb/abseil. If you are new to scrambling, we suggest acquiring some basic rock climbing and ropework skills before attempting these. Our scrambling courses, will provide you with the skills to attempt these. 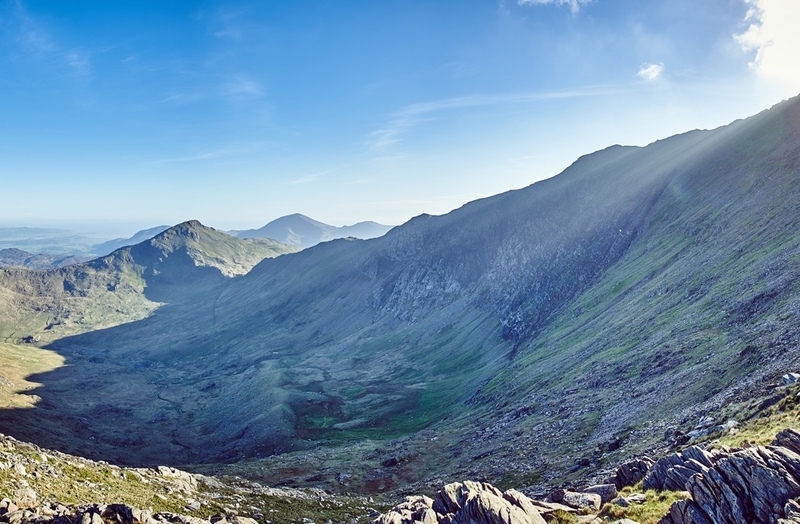 Examples of grade 2 scrambles: Idwal staircase and Bryant’s Gully on Glyder Fawr in North Wales, Aonach Eagach in Glen Coe, Cam Crag Ridge on Langstrath, and Sphinx Ridge an Westmorland Crag on Great Gable in the Lake District, and the Forcan Ridge on The Saddle in Glen Shiel. Grade 3 scrambles are more like easy rock climbing, graded as ‘Moderate’. The use of ropes and climbing protection are certainly advisable, as the potential for a fall is much greater. This is where climbing rope skills and placing protection are essential, as this will keep the leader and seconder safe. Escaping these routes can be very difficult, and the ability to route find and abseil would be very helpful, especially when the clouds come in. Examples of grade 3 scrambles: Cneifion Arete and Clogwyn y Person Arete in North Wales, Pinnacle Ridge in The Lake District, Curved Ridge in Glen Coe, and Dubhs Ridge on Skye in Scotland. It does sound a bit like climbing. So where do we draw the line and call it rock climbing? It becomes rock climbing when the whole route is to be pitched, that is not to say that some people would prefer to pitch the whole of a grade 3 route. So this line may feel blurred at times. Our next article will explain what a scrambling rack consists of.